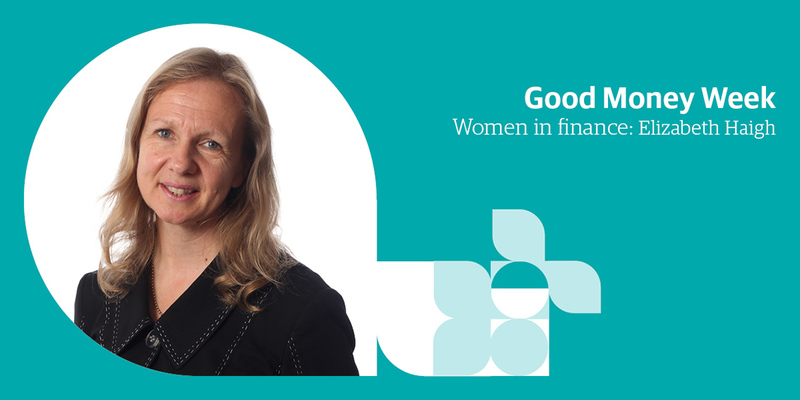 To mark Good Money Week, Elizabeth Haigh, one of the founders of Rathbone Greenbank, shares her motivations behind her chosen career in ethical finance and her experiences to date. What inspired you to establish Rathbone Greenbank and why? I first started specialising in ethical investing while at Albert E Sharp Investment Management back in 1992. Five years later I joined Rathbones and established Greenbank in 2004, with colleagues including John David (head of Rathbone Greenbank since 2009) and Perry Rudd (head of ethical research). Essentially, I wanted to invest more in accordance with my own personal values and through my experience saw many other investors were looking to do the same. In the early 90s, however, no-one was offering a bespoke ethical investment portfolio service for private individuals, so I developed one that I believe was unique at the time, for adopting positive as well as negative ethical screening. Over the years, this service attracted enough of an ethical investor base for us to launch our Rathbone Greenbank Investments service, to differentiate from the Rathbones brand and provide us with greater resources for research and engagement activities. What are the biggest hurdles you’ve faced in business? One of the biggest hurdles has been reassuring investors that ethical and values-based investment doesn’t mean compromising on financial performance. Fortunately, there’s now a growing body of supporting meta-studies and performance reviews published by the likes of Morgan Stanley Capital International (MSCI) and Oxford University’s Smith School of Enterprise and the Environment (SSEE) demonstrating a positive correlation between investment that takes full account of a range of non-financial factors and sound long-term financial performance. Many in the conventional investment industry have seen us as a threat, but we see ourselves more as one of the original market disruptors, challenging the investment status quo. I nevertheless had to fight hard to establish Greenbank: Rathbones had spent many years merging a number of investment businesses into a single brand and I was proposing something altogether different. While there was some hesitation initially in allowing us to proceed, I think it’s proven to have been a very successful venture. During your career, what have you learned about leadership and mentoring? In our experience as a team identifying companies suitable for our investment portfolios, it’s always been clear that leadership from the board is essential – that the board needs to commit fully to the concept of corporate social responsibility. Without that direction from the very top, lower tiers of management are unlikely to follow up on targets with any real degree of conviction. I also believe that gender balance is especially important for decision-making in business. Greenbank has always maintained similar numbers of senior men and women and that diversity of perspective and opinion has certainly contributed to our long-term success. Do you think there are differences in the ways men and women lead? I wouldn’t say I’ve observed many differences as such – I’ve known some very talented male and female business leaders. Much more important is the establishment and maintenance of a gender balance and greater diversity throughout every tier of a company’s organisation. What advice would you offer to young women looking to succeed in the workplace? Be confident! Make sure your voice is heard in meetings. Use every opportunity to write articles for in-house and external publications. I would also stress to any young woman looking to enter the finance sector that investors need you – many female investors will seek out a female investment manager and there’s a definite shortage of those. While women undoubtedly suffer from a lack of senior management role models, we can always benefit from having more talented women forging ahead with a career in finance. I’ve been particularly inspired by the work of the late Tessa Tennant, a passionate advocate of sustainable investment. Tessa co-founded the Merlin (later Jupiter) Ecology Fund in 1988 which was the first green unit trust to be launched in the UK. She also co-founded the UKSIF – today known as the UK Sustainable Investment and Finance Association, pioneered socially responsible investment in Asia and helped establish the Carbon Disclosure Project. Importantly for Greenbank, Tessa was very supportive of our family friendly employment research in the late 90s: she felt it was one of the first engagement projects with leading FTSE 100 companies on corporate social responsibility and was very encouraging of our work in that regard. I think funds under management are going to continue to increase as more investors become aware of the opportunities of investing ethically. Millennials seem particularly concerned with aligning their investments with their personal values. I also think fossil fuel divestment will continue as investors increase demands for more sustainable energy solutions. Impact investment is also going to be crucial to the continued evolution of ethical investment. We launched our social enterprise investment service some years ago which has supported direct investment into unquoted, smaller businesses providing solutions to tough social and environmental problems like social exclusion, obesity and drug addiction. We’re also working with investment partners like Resonance here in Bristol: Greenbank is one of the largest investors in their first Social Investment Tax Relief Fund. Their efforts have been particularly key to the regeneration of a rundown area of central Bristol known as The Bearpit, helping to improve public safety and encouraging local food sellers and retailers to reclaim the space.